Pleaded guilty to attempted gun possession. A judge will sentence him later this month, once he gets over the fact that this case had nothing to do with weed. Holy crap- to find the gun on this dude, how many one-hitters did police run their hands over while frisking him? Finally returned the $180K he stole from his family. 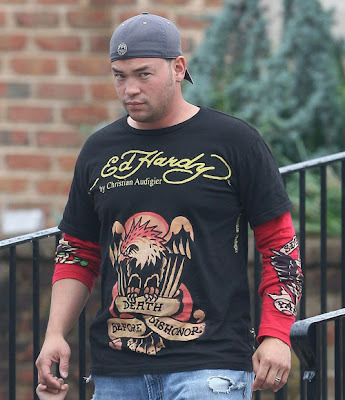 AHEM, in a related story, say it with me America, Ed Hardy clothing stores reported $180K in returned clothes. Fired from the new Melrose Place. Next up for the failed pop-singer? Sucking at painting! Seriously, after her album bombing this is the 2nd bad thing to happen to Ashlee Simpson in a row- 3rd if you count marrying Pete Wentz! 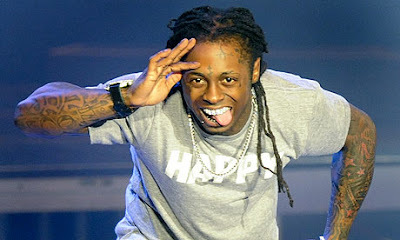 Lil Wayne is such a douche.